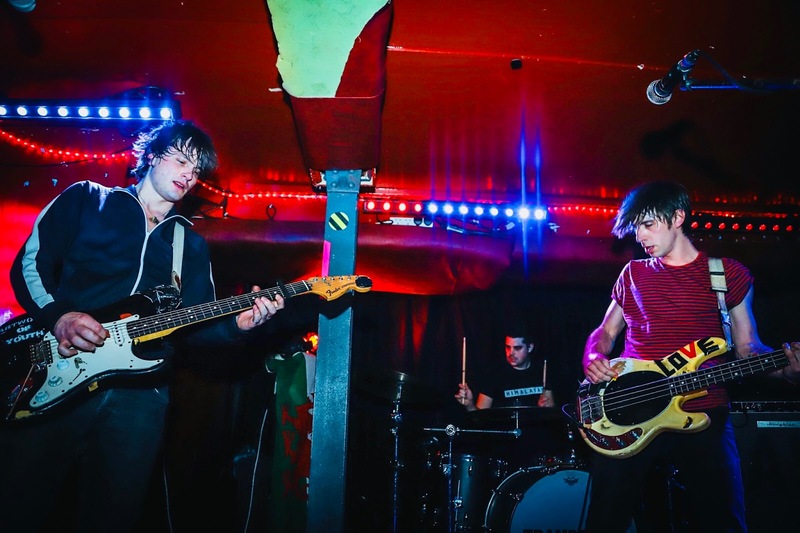 Trampolene are a welsh trio pushing their way to the forefront of the Indie/punk/rock scene. They have become a popular fixture on the U.K live circuit and perform in the many festivals we have during the summer months. They have produced some of the best music to date from an unsigned act, winning album of the year in Phacemag blog and having hit reviews in the likes of The Independent. Their sound is unmistakable and once you have heard them you can identify a Trampolene by the ballsy melodies and drumming arrangements, whether it's a song you can totally rock out to or a modern take on a love song Trampolene are able to lend their hand to any aspect of musical genre and produce relevant, fresh sounding songs. 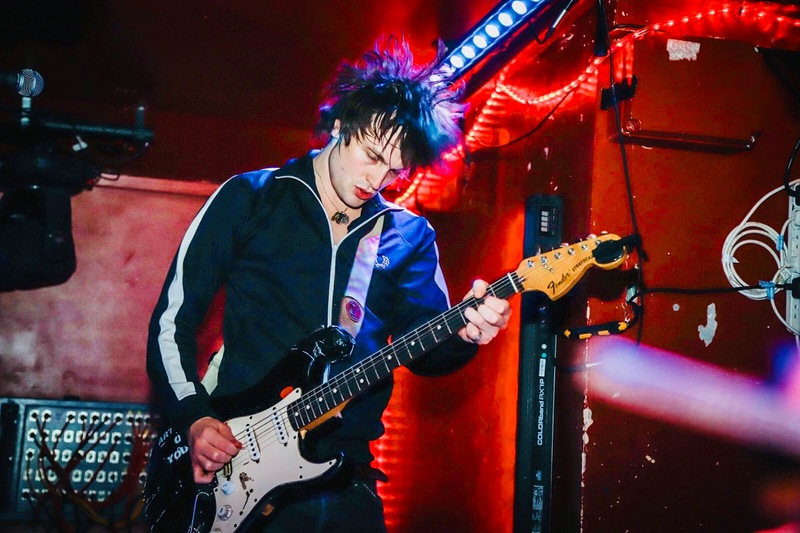 Trampolene have just finished their U.K spring tour which was a great success, they had some wild shows with plenty of audience participation. Perhaps this is one of the reasons people warm to them so quickly. They welcome their fans always making time to chat and including them when possible. The lads definitely have that special 'something', you are instantly drawn to them, they have a magnetic vibe about them and the music that they produce also has that quality. Trampolene are a band that are reaching for the stars and frankly will be grasping them real soon. They constantly push themselves to do better, be bigger,go farther than they ever thought possible.They are a determined bunch doing as much as possible to get their music and poems heard. Trampolene write and produce their own material,unsigned at the moment they have successfully managed to carve out a niche in the music scene for themselves, they have an ever growing fan base and a mutual respect for newer bands trying to do the same, quite often Trampolene have up and coming bands as their support acts shedding some light on them, sharing the spotlight so to speak. Trampolene have their biggest gig to date coming up on the 9th of May in Scala. This iconic venue has hosted some great acts throughout the years and judging by the response to their recent U.K tour this gig should be a absolute treat. Trampolene released their debut album Swansea To Hornsey at the end of last year and they have recently supported Liam Gallagher on his U.K tour. 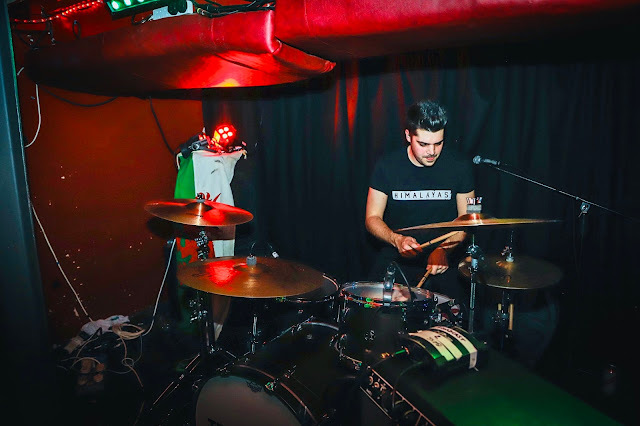 I had the opportunity to speak with Jack Jones, Wayne Thomas and Rob Steele of Trampolene in Broadcast, Glasgow where they were performing later that evening as part of their spring tour. We are sitting in an upstaiars attic room chatting about some of the antics that they had got up to the previous night, life on the road! Still chuckling we begin. How does living in London compare to living in Wales? Jack:Well theres a lot more expensive property"
IAI: Oh right, is that it? Jack Jones:No,No thats not it. It's very different in London everyone's very forward focused,no one really talks to each other, everyone knows each other. Wayne Thomas:It's a much slower pace where we're from. Jack: Yeah everyone knew each other,it's completely different. Do you prefer living in London compared to Wales? Jack: Sometimes? They are both very different. I like living both ways of life. I feel like I need them both but having balance is key. Wayne:I like both,living in the city but then being able to go down by the sea,it's peaceful. Jack:, Coming from the country to living in London in the inner city where everything's crowded everything is close together, manic, you appreciate so much when you come home.Fresh air,drinking water out the tap so yeah very different ways of life. Wayne:Actually hearing peace and quiet though? It's more peaceful, you appreciate that when you go home,the quietness.You don't hear noise all the time. Jack: Yeah it's always busy.The buses never stop in London,they go all night.you'd have to wait three weeks for one in Swansea! If you hadn't moved to London do you think that you'd still be pursuing a career in music? Wayne: I'd say no idea. Jack:I'd still be pursuing some sort of musical life because it's what I do and I can't help it. What I like. I don't think we'd have had anywhere near the impact we have had if we didn't move to London. I dunno Tom Jones moved to London didn't he? Do you think you're on track with your music career or should you have been bigger before now? Jack: I'd say bigger, we should definitely be bigger. Hundred percent we should be bigger. IAI: Do you see yourselves getting bigger, fast? Jack: I never really thought of it as a career actually,like I just do it anyway, whether I'm a successful person or not it doesn't change who I am.You know at the end of the day I'm a musician and maybe a writer as well, if you wanna push that but like that's me, whether I'm a millionaire or not. Wayne: Well it depends on where you're getting judged from, you are a successful man compared to someone that's living on the streets. 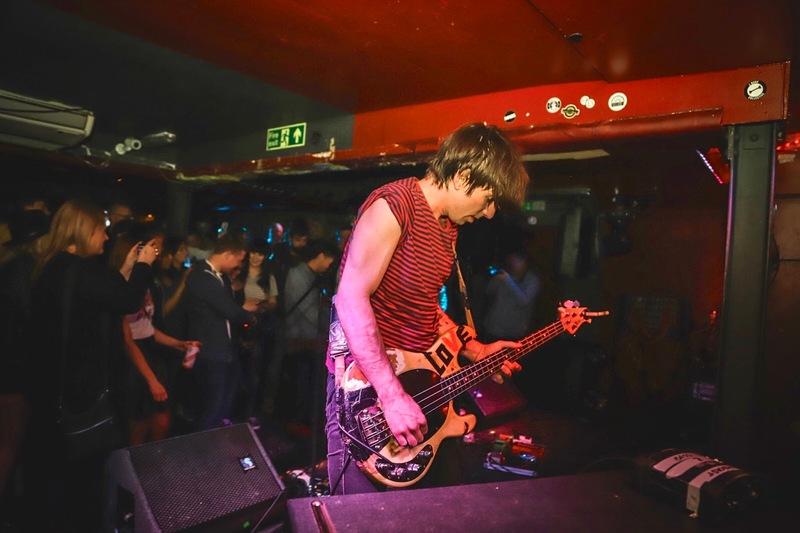 There are a lot of new Welsh bands around at the moment, do you think that Trampolene have helped pave the way for them? Rob: Didn't you say something about that earlier Jack? About fans starting bands. Jack; Yeah, some of our fans are starting bands.Thats probably something we should be quite proud of really. Rob: Yeah there's been quite a few of our fans starting bands. IAI: I think that you've helped pave the way for some of the newer bands coming through. Jack: That's cool. Yeah, I think we have,like the other day some young lads told us they'd started a band because of our band. It's doing something for the right reason. Take all the people that bought our album,god knows how many?Not many,but say however many people bought our album started a band, no matter how small a number start a band that's true inspiration,isn't it? Rob: That was literally it to a certain degree. Jack: I'd like to think yes,Well I dunno maybe they do look up to us? We're just a bunch of headers basically that started the ball rolling. What was it like opening for Liam Gallagher? Wayne: It was hard to comprehend, I mean for our generation he is rock and roll. IAI:Did you like performing in front of those big crowds? Jack: Yes,it was crackin', loved it. Did Liam give you any words of wisdom? Jack: He did say something nice about my guitar playing though.,that was cool because most people talk about the poems and stuff but he picked up on the guitar playing, the style of it. He digs it. He's like Buddha. Basically Buddha got reincarnated as Liam Gallagher,well that's my theory. Wayne: His religion was Rock and Roll. You have a diverse fan base,did you think that you'd have fans as far away as Japan? Jack: No, I still can't comprehend having fans in London or even Cardiff ! Wayne: We played a gig in Swansea a while back, Jack couldn't get his mates to come from five minutes up the road yet a guy traveled all the way from Japan to watch us,couldn't even speak a word of English but he was hanging out with us,like. We walked him back to his hotel. Yeah it does blow me away though.Lot's of our fans travel to see us.We're used to being in London, you've got people from all different areas,it's that type of society so we're used to being around different nationalities. At our gigs you sometimes forget that people don't actually live where we are playing they just traveled to see us which is insane. We cant get to them,they come to us. Jack: I'd love to go everywhere, I'd love to go to Japan. People see you as a fans band,is that something that you strive to achieve or has it happened naturally? Wayne: Natural,I ain't trying to do anything,be anything. Jack: People just like us for being who we are. Just being us. Wayne: Thing is,people see us and think if those boys are doing it we can do it. Jack:Politeness isn't it, gotta treat everyone with respect. Yeah a bit of respect. If you could play in a festival, past or present what festival would you play and who would be in the line up? Jack: What festival would it be? I'd probably have some sort of woodstock '69' or something like that. I'd definitely have The Beetles,The Kinks and Jimmy Hendrix, The Doors. All the ones that are dead basically. Jack: Yeah chuck Rammstein in there.Who else? Wayne:Need someone to bring everyone down at the end of the night. Dylan? If you could call any musician who would you call and what would you ask them? Rob: Who would I call? Musician, you'll have to give me a minute like, I got a few options I could pick. Wayne: I'd just call any of the ones that are dead, I'd be like how the..How am I speaking to you? Tell me that! Rob: Jim Morrison he'd be worth chatting to. Jack:Yeah,Beethoven? How would you talk to him? He wouldn't be able to hear you, you'd have to do one of those vibration calls, braille chat. Tom De Longe? Could talk to him about UFO's. Rob: Could do, his voice would probably annoy you after a bit, probably need to hang up. call him back after a bit. Wayne: Ah really? You'd call him? You'd have a proper chat with him? Your new single 'Hard Times For Dreamers' what was your inspiration for this song ? Jack: From all around, like that bit 'so,so' I remember catching the bus into town and seeing this random woman selling the Big Issue and she used to shout 'So,so get your evenin', that always stuck in my head that's how that just came about, I thought it would make a great chorus. Jack: Yeah, that's how that part came about, who would've thought been able to put that into a song? When I wanted new lyrics for it I bought an evening post and started picking lyrics from it, trying to keep the spirit of it. It's kind of a love song in a messed up way I think. You have headline show coming up in Scala.What made you choose that venue? Rob: Because we are ambitious. Jack: I love it. When we first came to London we used to see bands there and every band that played there was like, Wow! They're really going somewhere. It was like a statement of intent and I just thought I'm gonna get to play there some day. I saw 'Everything,Everything' there when they were still small. We've supported Carl Barat there about three years ago now,so we're going from supporting to our own show. When the Arctic Monkeys played there, they were unsigned and they sold it out. I just thought that it'd be great, we're unsigned so let's see how far we can go. We just keep pushing it. Wayne: Hopefully someone will turn up. Has it sold out, nearly sold out? Jack: There's about five thousand tickets left, but we got the intention! No,no it's doing really well, if we got another hundred in there we'd be laughing. Wayne: Yeah we'd be sold out then. Rob: It's like a challenge for us really,something that we set for ourselves. Jack: It's difficult though because there's not a lot of in between spaces, loads of venues with a two hundred capacity then you jump to a massive arena like five thousand or something but there's not much in between so we just thought go for it we'll try for a thousand. Lastly do you have another album coming out? Jack: I think so, need to get some more money behind us,need to rob a bank or something, I've already bankrupted everyone I know,my family,my friends, everyone! Rob:Yeah,we've got songs so there should be. Jack: We've got the pocket album coming out, a double album that's definitely going to happen. That should hopefully build up a bit more buzz then I hope that our second album should be out at the end of this year. IAI: Thanks guys that was great. Trampolene are a small band with a huge sound and loads to say for themselves. The Welsh lads are rocking their way around the U.K, a European date in Milan and there own special headline show in Scala, London. Their show in May should be fantastic,they have the right sound, clever lyrics and the charisma to make this a memorable show for all those that attend. Trampolene's debut album Swansea To Hornsey was a sensation so their second album should be to. I look forward to seeing Trampolene on the main stages at festivals and doing headline tours around the country in the future. You can catch Trampolene headlining their own show on May 9th in Scala London.